the SPR-E-Flex-110 of 110W. Now available in stock. More than 40 years advising our clients and distributing the most advanced technological innovations in the world. 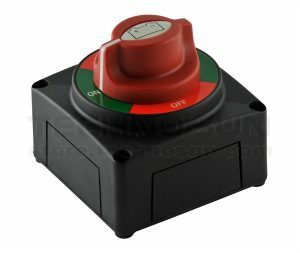 Direct from manufacturer, without intermediaries. High supply capacity and permanent stock in our most demanded references. Thanks for our know-how of the sector, our global vision allow us to give a custom service from the beginning to the end of the sale. Online platform for order, querys and stock availability. Direct shipping. Special prices for Precios especiales wholesale and account volume. You have the support of our technical profile staff, experts in products and their use, to advise you hand in hand with the manufacturer. We manufacture the best quality products under our seal, thanks to the collaboration with our partners of leading brands. 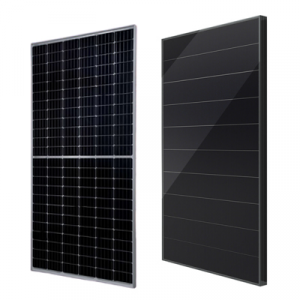 We have the latest technologies in solar panels such as PERC monocrystalline panels. High efficiency polycrystalline and high efficiency photovoltaic modules that reach the highest powers in history. We have the most efficient panels in the world, the Panasonic with HIT technology. The highest power output solar panels from RED SOLAR, which uses the best supplies of photovoltaic cells to get the solar panels with the highest power output. We also have Tier 1 brands such as Kyocera, CSUN, Amerisolar, Jinko Solar, Bosch, Victron Energy or the series of flexible Red Solar panels. 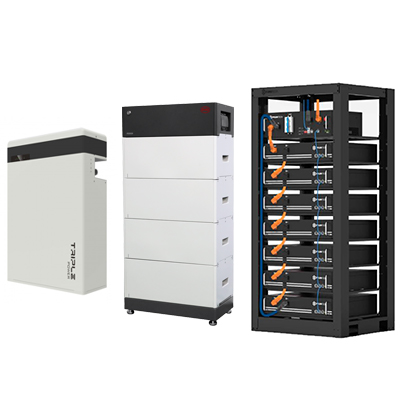 Lithium batteries are the perfect complement for direct self-consumption systems with batteries or off-grid solar installations, replacing traditional lead-acid batteries. 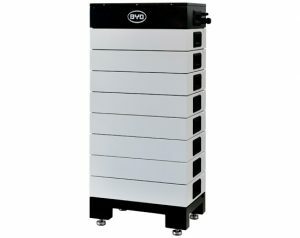 Brands of lithium batteries: BYD, LG Chem, BatVolt, Vision, Pylontech, Victron Energy. 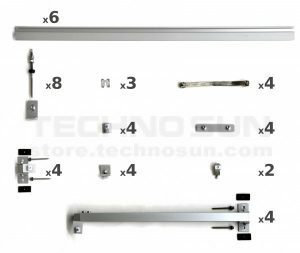 We have designed complete systems for all types of applications, making it easier for you to calculate the components required for each installation. 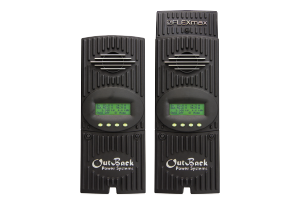 All types of solar charge controllers PWM and MPPT, 12V, 24V and 48V. 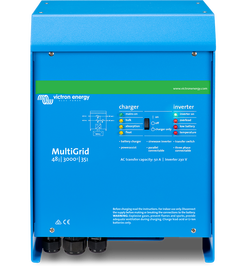 Capacities from 4A to 80A and from 100A to 300A. Brands: Schneider Electric, Outback Power, Elecsun, Morningstar, Victron Energy, Techno Sun, Magnum. 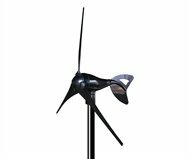 Our range contains several types of domestic wind turbines in DC 12V, 24V, 48V and 230V with outputs powers ranging from 180W to 5kW. Small wind turbines connected to batteries are a perfect complement for off-grid systems with photovoltaic solar panels or even for electrical self-consumption installations. In addition, our wind generators are very easy to install. We have surface and submersible solar water pumps at 12V, 24V and 230V, both single-phase and three-phase, as well as special solar inverters / variators to adapt normal water pumps to solar energy operation. 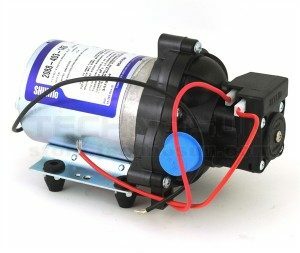 Solar pool filter pumps, deep wells, solar water pumps for irrigation, for ponds, etc. Brands: Aquatec, SHURflo, Techno Sun, SACI, SWF Sun Water Flow, Grundfoss. 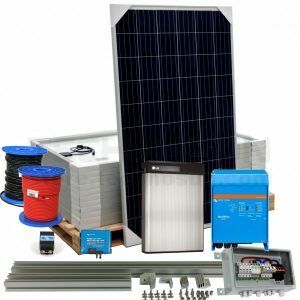 A wide selection of photovoltaic solar kits for off-grid homes, direct self-consumption and zero injection, wind energy, water pumping, on-grid connection, solar kits for direct self-consumption with lithium batteries and solar panels, solar kits for energy backup, UPS systems, for LED lighting, etc. Brands: Red Solar, Trina Solar, Victron Energy, LG Chem, BYD, Pylontech, Ingeteam, SolaX, Kostal, Schneider Electric, Outback, Voltronic, Elecsun, BatVolt. All types of solar batteries, lithium batteries, semi-traction lead acid batteries, AGM batteries, Gel batteries, tubular batteries, OPzS accumulators, OPzV, translucent SOPzS, SOPzV, TOPzS and TOPzV accumulators. Batteries of 2V, 6V, 12V, 24V, 48V and high voltage HV. Brands: BYD, LG Chem, Pylontech, BatVolt, Sunlight Systems, Vision Energy, SolaX Triple Power, TAB. 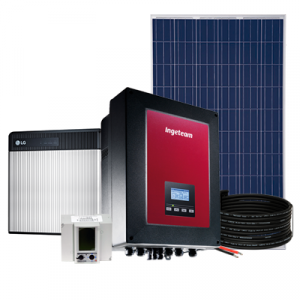 Solar inverters for self-consumption, inverter-chargers for off-grid installations, 3-in-1 inverters with integrated MPPT solar regulator, grid-tie inverters, hybrid inverters for direct self-consumption with lithium batteries, inverters for direct solar pumping, micro-inverters, etc. Most of our anodized aluminum structure is extruded by us here, offering structural solutions for both coplanar, elevated and adjustable solar panels up to 45º. 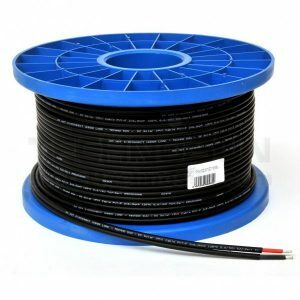 We supply solar cable by the metre and in reels of 100m and 500m at a more competitive price. Special cables with UV protection in red, black and bipolar. Sections of 4mm, 6mm and 10mm. We also have cables and hoses for the interconnection of batteries, for the connection of batteries to inverters and to connect solar panels to the solar regulator. Sections of 35mm, 50mm, 70mm, 90mm, 120mm.